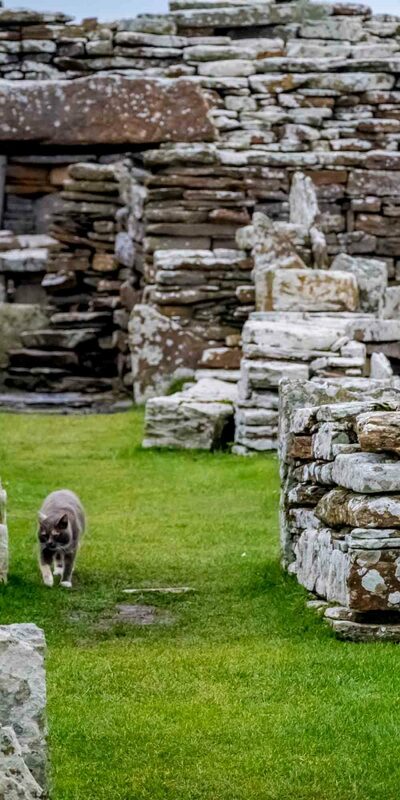 Greetings Space Cadets, he Broch of Gurness is an Iron Age broch village on the northwest coast of Mainland Orkney and as our visit was out of season we were able to get a private tour from the Kitten Tour Guide. 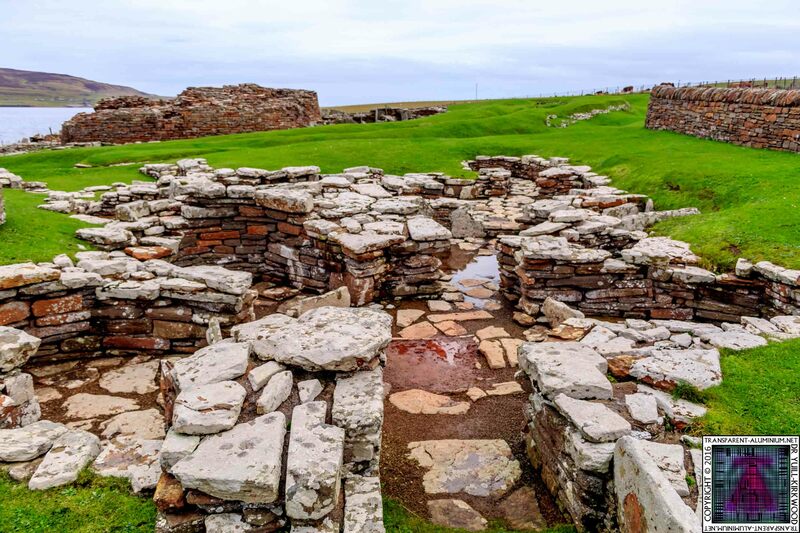 Settlement here began sometime between 500 and 200 BC. At the centre of the settlement is a stone tower or broch, which once probably reached a height of around 10 metres. 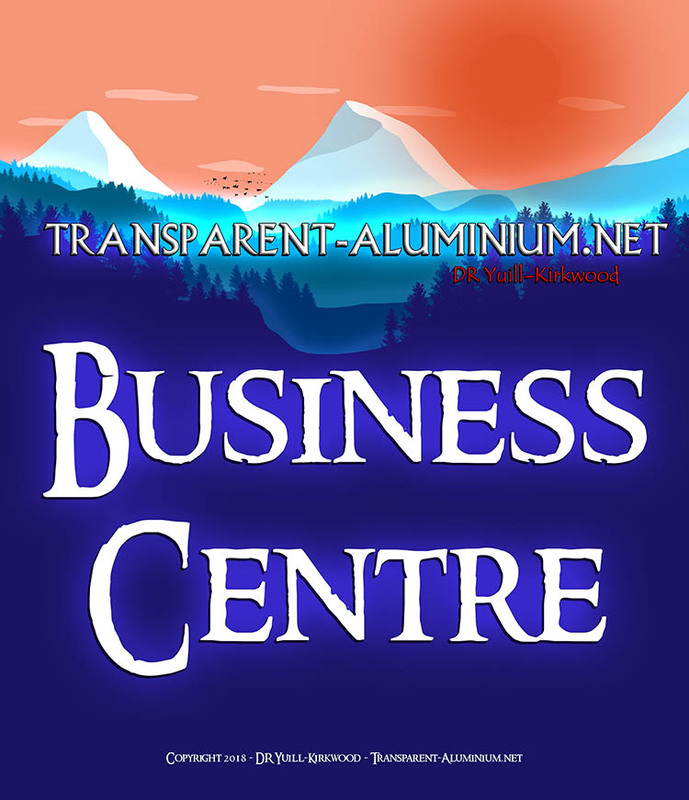 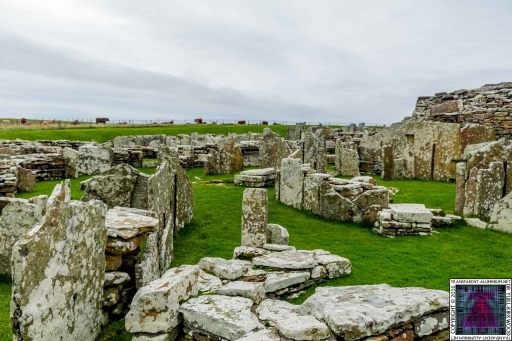 Its interior is divided into sections by upright slabs. 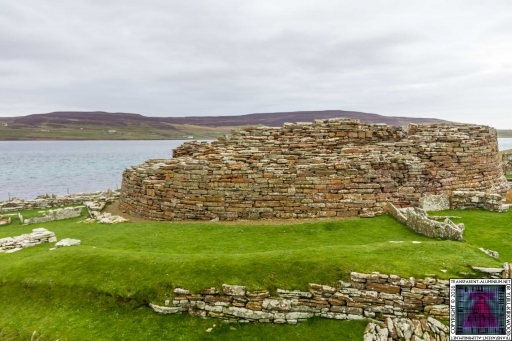 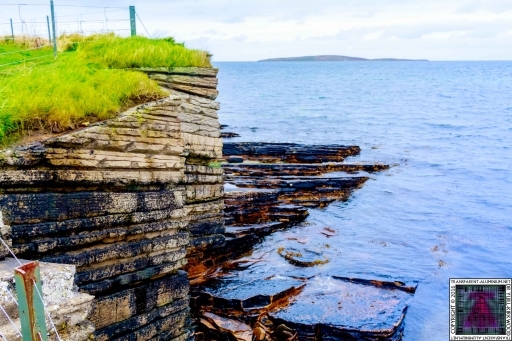 The tower features two skins of drystone walls, with stone-floored galleries in between. 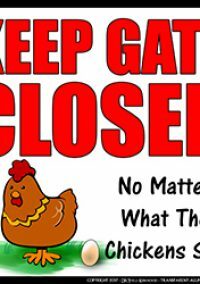 These are accessed by steps. 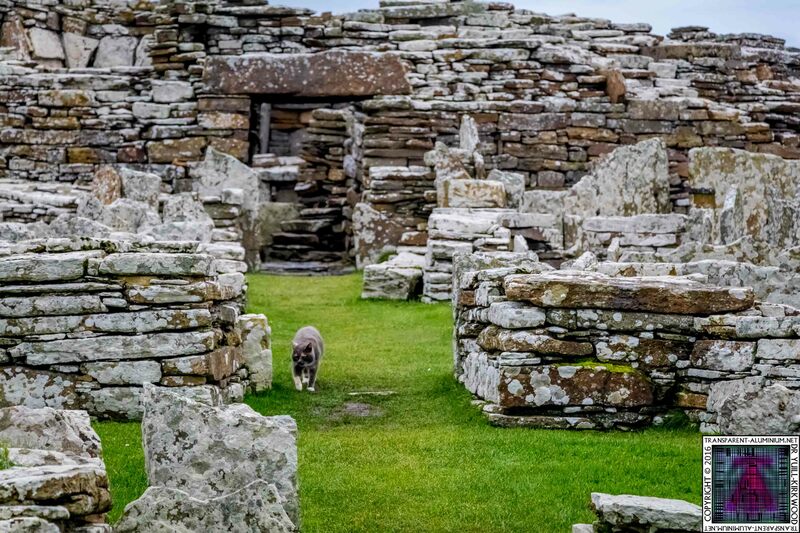 Stone ledges suggest that there was once an upper storey with a timber floor. The roof would have been thatched, surrounded by a wall walk linked by stairs to the ground floor. 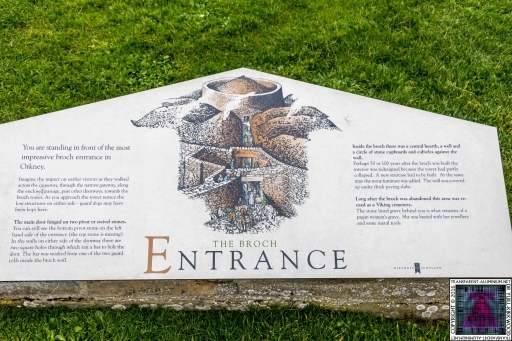 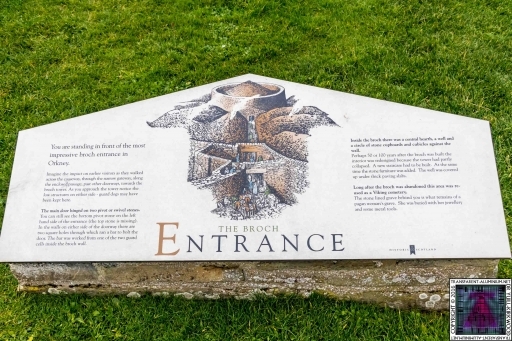 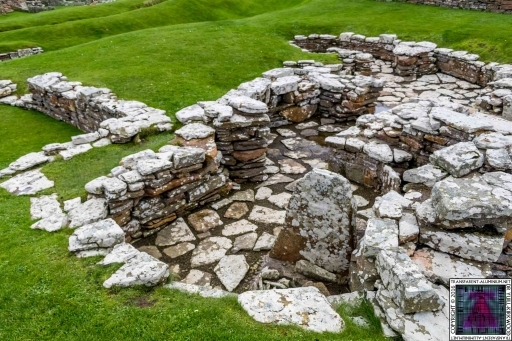 The broch features two hearths and a subterranean stone cistern with steps leading down into it (resembling the set-up at Mine Howe). 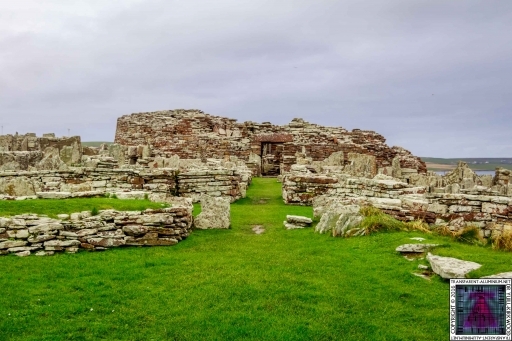 It is thought to have some religious significance, relating to an Iron Age cult of the underground. 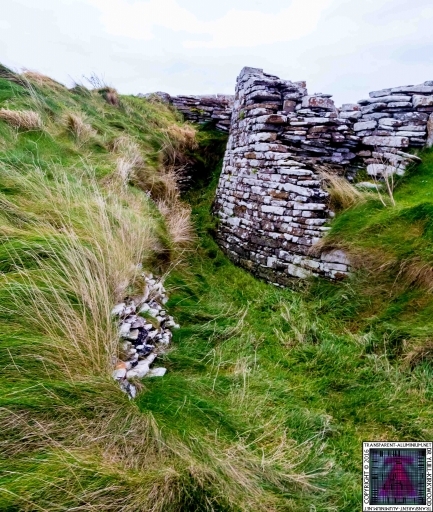 At some point after 100 AD the broch was abandoned and the ditches filled in. 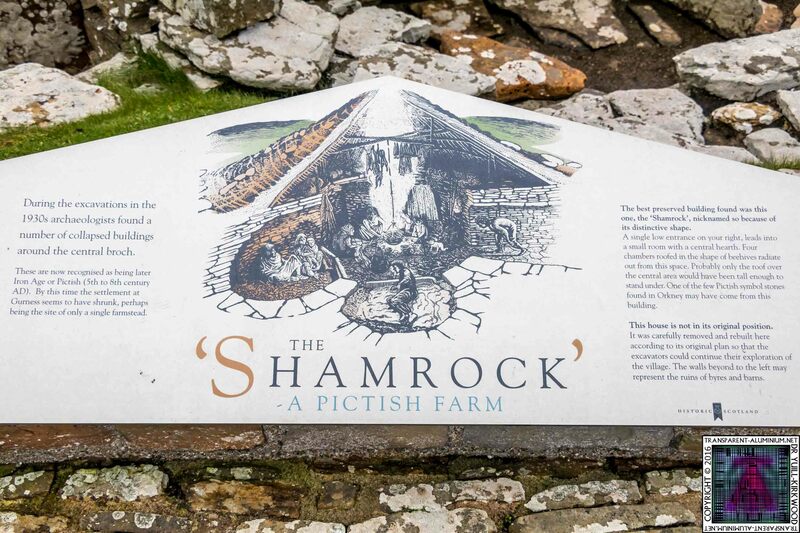 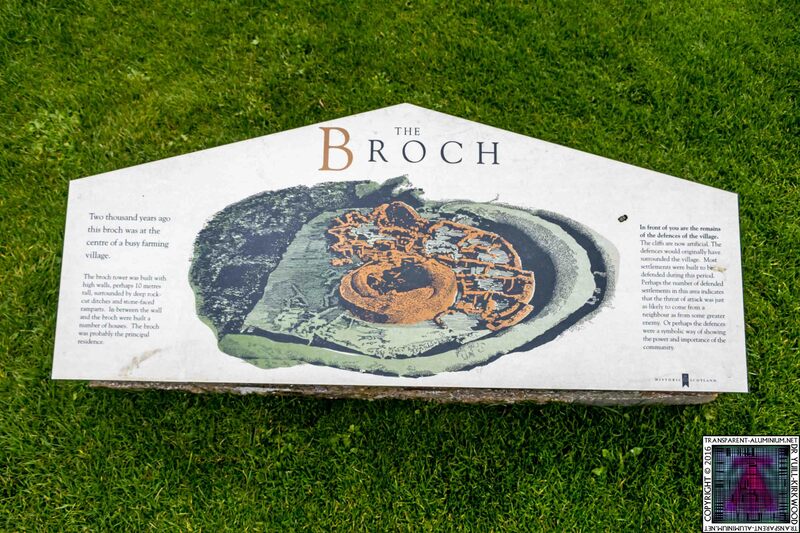 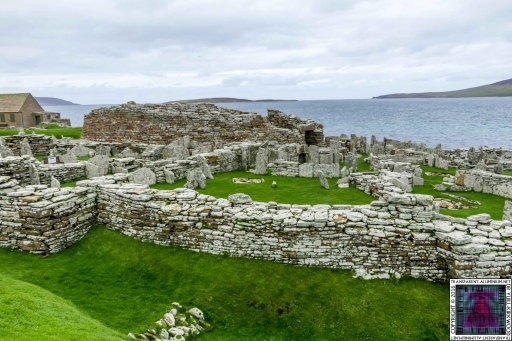 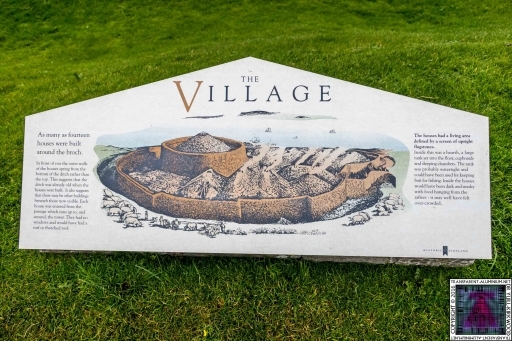 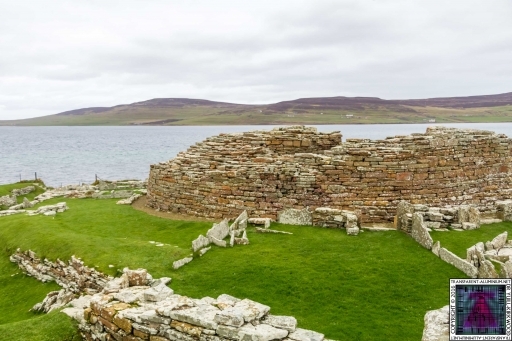 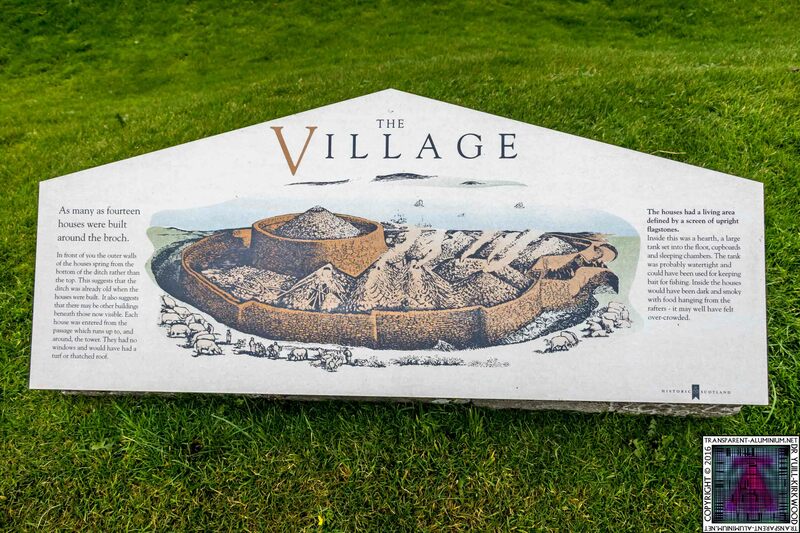 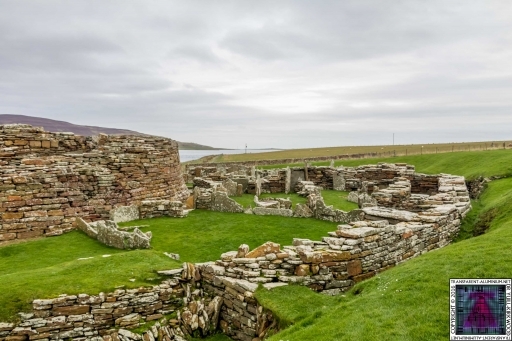 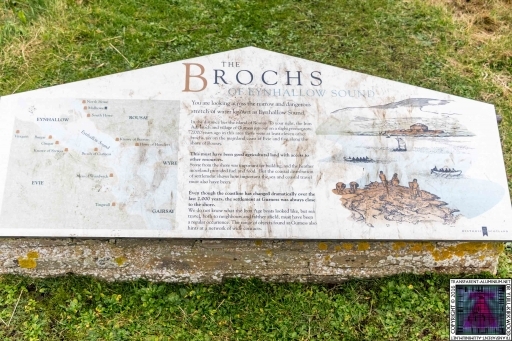 It is thought that settlement at the broch continued into the 5th century AD, the period known as Pictish times. By that time the broch was not used anymore and some of its stones were reused to build smaller dwellings on top of the earlier buildings. 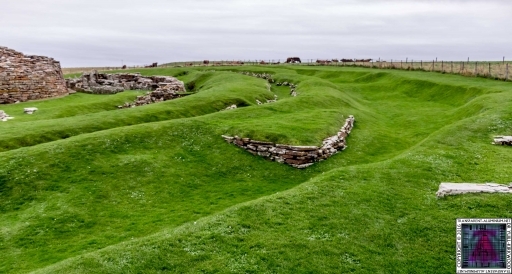 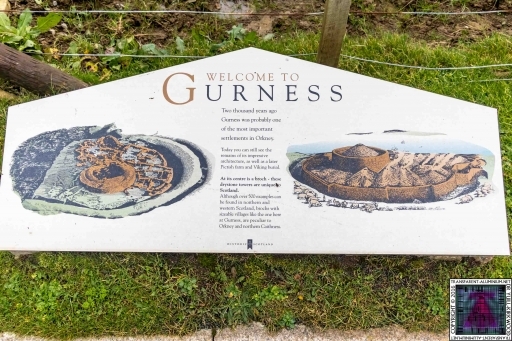 Until about the 8th century, the site was just a single farmstead. 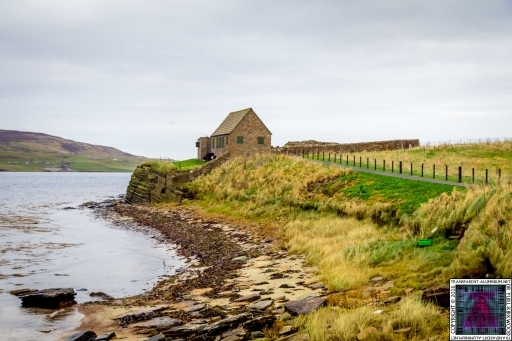 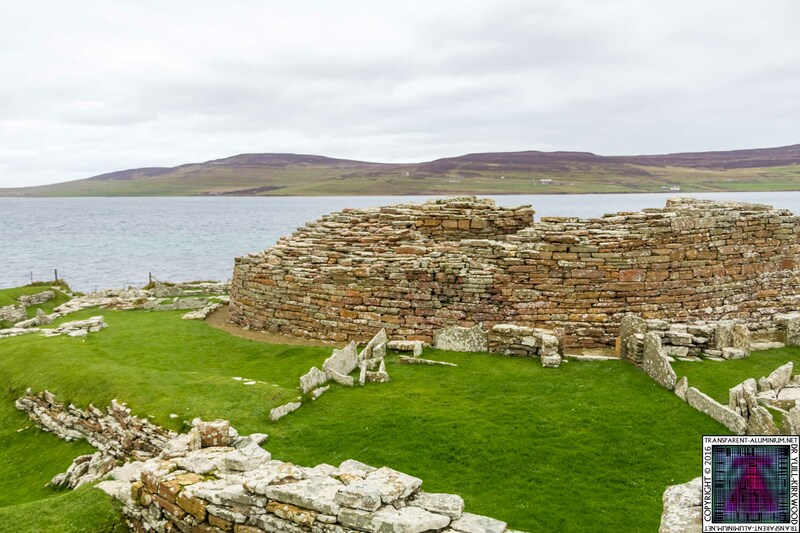 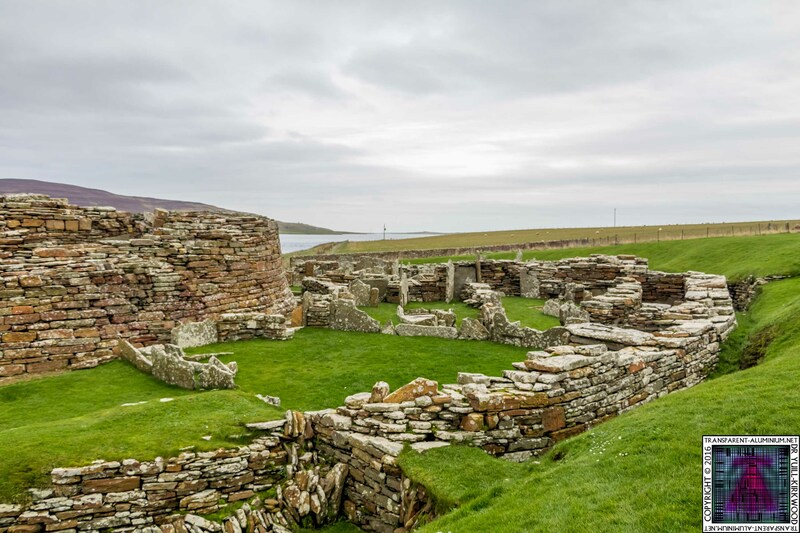 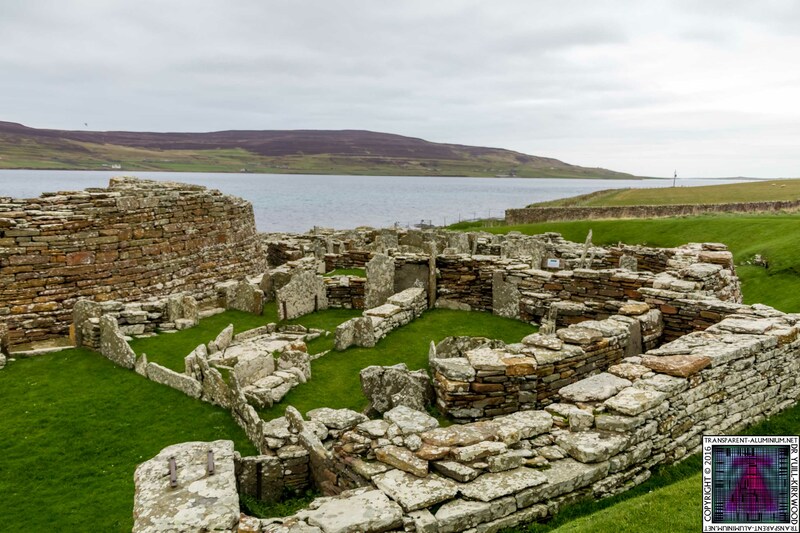 Broch of Gurness – Orkney Reviewed by DR Ravenholm on January 10, 2017 .